The European Investment Bank (EIB), Mirova and Eolus are co-investing in the construction of the Langmarken onshore wind farm located in Värmland County, Sweden. This is the first EIB project in Sweden under the European Fund for Strategic Investments (EFSI), at the heart of the Juncker Commission’s Investment Plan for Europe. The EIB and Mirova-Eurofideme 31, a renewable energy fund managed by Mirova, a subsidiary of Natixis fully dedicated to responsible investment, have signed an agreement to acquire the Langmarken wind project. They will own, through a common vehicle, 90% of the shares while Eolus will retain the remaining 10%. Eolus, one of the leading wind power developers in the Nordics, will build and manage this 20 MW ready-to-build wind farm. The EIB co-investment amounting to up to EUR 16 million is the first renewable energy co-investment made by the EIB through the EFSI and at the same time the first EIB project in Sweden supported under the Investment Plan for Europe. This co-investment will be undertaken and managed by Mirova, following the commitment made by the EIB in the Mirova-Eurofideme 3 fund in 2014 – mobilising capital to achieve a low-carbon economy. The transaction includes 6 Vestas V126-3.3 MW wind turbines out of a total 8-turbine project. The two remaining turbines have been respectively acquired by the City of Malmö and the local Kalmar County Council. The project is fully permitted and its construction started in January 2016. It will be connected to the national grid through a local substation operated by Kristinehamns Energi AB. Commissioning is targeted for the first quarter of 2017. “We are very proud to have been selected by the EIB for their first co-investment in the renewable energy sector. We believe that the extensive track record of Eolus in developing and building wind farms and the intrinsic quality of the site have been crucial to achieving this investment despite a challenging market environment. It is our opinion that wind power in Sweden is one of the most attractive long-term plays in European renewables. 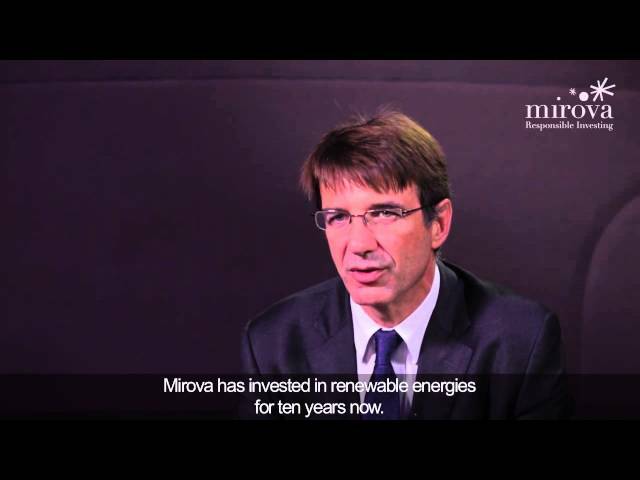 It adds another very competitive asset to Mirova-Eurofideme 3’s portfolio which already comprises six wind, solar and hydro investments, primarily in France and in Sweden." 1 Investments in infrastructure portfolios are reserved for specific investors, as defined by their respective regulatory documentation. Mirova-Eurofideme 3 has not been authorised by the French Financial Market Authority (“AMF”) nor by any other supervisory authority. The fund is mainly subject to loss of capital risk.